The applicant for an election petition against localist lawmaker Lau Siu-lai is to ask the High Court on Friday for an extension after failing to deposit HK$20,000 as required, Lau’s office has told HKFP. Jackson Kwan San-wai, who lost in the Kowloon West Constituency of the Legislative Council election in September, filed an election petition against Lau earlier this month. He is a member of Politihk Social Strategic, a pro-establishment think-tank that opposes Hong Kong independence. Lau Siu-lai. File Photo: Lau Siu-lai, via Facebook. 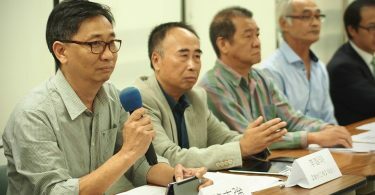 Kwan argued that Lau did not uphold the Basic Law owing to her conduct during the swearing-in session, thereby breaching the confirmation form and declaration she signed when running for the legislature. He also asked the court to determine whether Lau would need to repay her salary and other expenses already paid by the legislature if she was disqualified. Mr Justice Thomas Au Hing-cheung will be the presiding judge. He also heard the judicial review against Youngspiration’s Yau Wai-ching and Baggio Leung Chung-hang, the pro-independence politicians at the centre of the oath controversy. On Tuesday, Mr Justice Au ruled in favour of the government, disqualifying the duo. Kwan is represented by lawyer Maggie Chan Man-ki, former district councillor of the pro-Beijing DAB party. She won an injunction application against pro-democracy protesters on behalf of a minibus association during the 2014 Occupy protests. 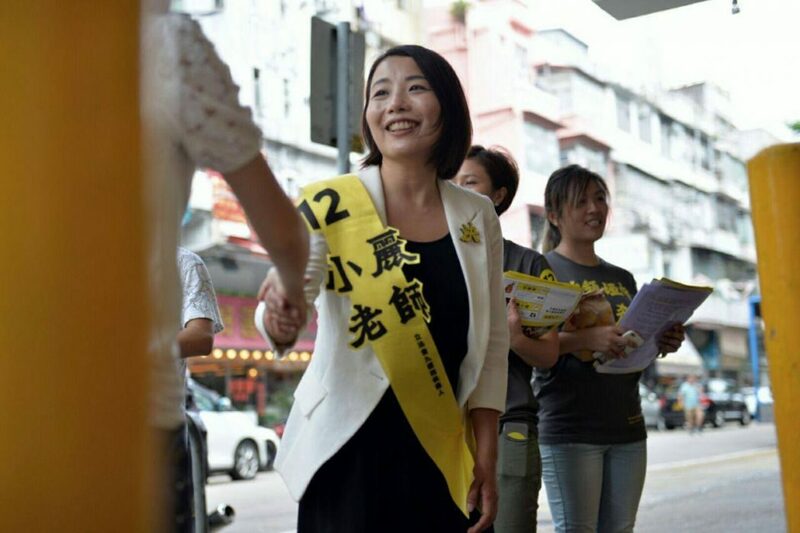 The pro-Beijing camp has said on multiple occasions that Lau’s social media post is strong evidence that she had refused to take the oath, a ground for disqualification. However, lawyer Kevin Yam told HKFP earlier that Lau’s impugned manner is open to debate and it is not definite that she would lose the challenge. HKU law lecturer Eric Cheung Tat-ming said Lau has a “higher risk” than other lawmakers whose oaths are also being challenged. Following Beijing’s intervention in the oath dispute last Monday, members of the public have brought judicial review challenges against some 25 lawmakers of the pro-democracy and pro-Beijing camps. Chief Executive Leung Chun-ying, who omitted one instance of “Hong Kong” in his oath when he took office in 2012, is also being challenged. Mr Justice Au is also scheduled to hear another election petition on Friday, filed by Hong Kong National Party leader Chan Ho-tin over the Registration and Electoral Office’s decision to block him from standing as a candidate in the Legislative Council election in September.